The Lunch. An Edible Present! Place du Capitole. Toulouse was certainly a lively, young and vibrant city! 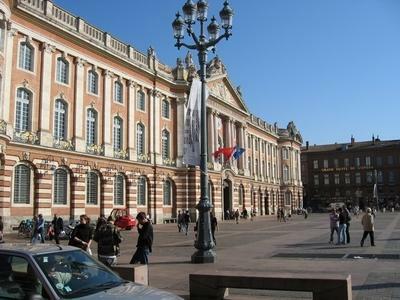 It is home to the University of Toulouse which has the third largest studednt population in France after Lyon and Paris. Place du Capitole. 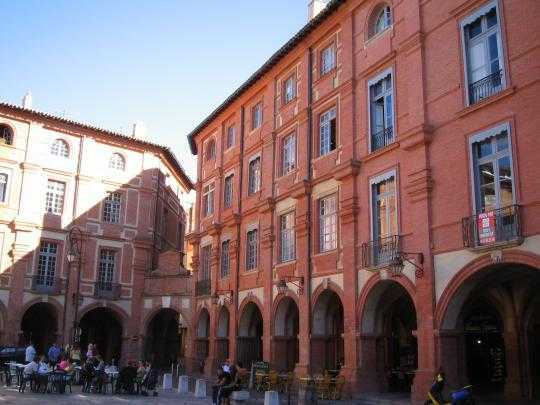 Toulouse is known as the Ville Rose (The Pink City), for its distinctive brick architecture. 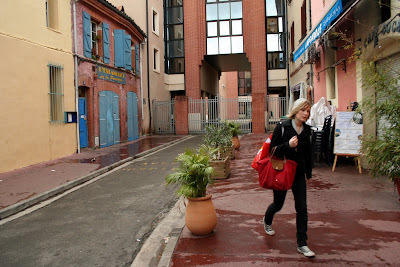 Yesterday, I traveled to Toulouse and back. No easy feat by any means considering it was about three hours each way by car. We don't exactly have the speediest car around, but it has become our little road warrior and always seems to get me there and back again without a hitch. Since it was going to be a bit of a journey I decided to bring Rypien along to act as co-pilot, but mostly to keep me company. The whole purpose of my trip to Toulouse was to have lunch with the fabulous Thomas Cabrol, founder and owner of ProDégustation – a very succesful wine tasting company which can be found in all major centers and cities within France. I met him while doing my WSET Level 3 at VinÉcole in the Languedoc-Roussillon, we were the only two people in the class! We had lunch at a wonderful restaurant called Le Nez Rouge (such a great name), which is owned by a lady who used to work for Thomas as a wine instructor. 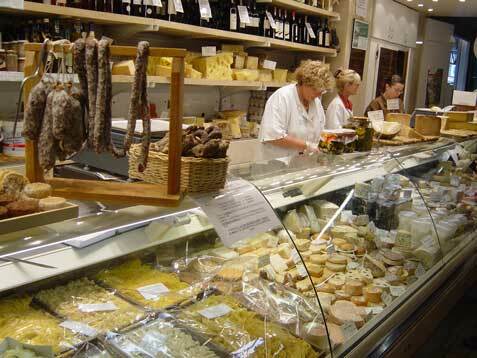 The restaurant was a tiny little wine and food bistro located on a small corner in the middle of the bustling city. They had a great wine list, as was to be expected, with a selection of over 200 wines, all French of course. Oddly enough, there wasn't one wine on the entire menu from the famous wine growing region of Bordeaux. How is this possible? Thomas was quick to inform me that the owner hates Bordeaux, hence its absence on the menu. 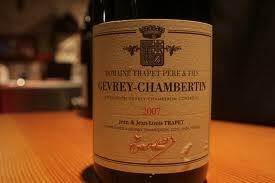 We decided on a fantastic 2007 bottle from Gevrey-Chambertin by Domaine Trapet Père et Fils (a.k.a. a red Burgundy. For those who may be a bit unfamiliar, any red wine from Burgundy is going to be a Pinot Noir). Lunch consisted of a mouth watering chorizo soup to start, followed by butternut squash and fish which came wrapped up like a present in clear cellophane. It was quite something. 10 out of 10 for presentation! And of course the food itself was nothing short of a gastronomic delight, every bite was to die for. Thomas: “Than you MUST go to Betty”. So, I went, I saw, I bought, and then ended up smelling like a stinky cheese shop for the three hour car ride home. Merde!